You might nominate an executor for your estate in your will, but that does not make it "official." Once a person dies, their executor must still be appointed by the courts in Texas; the executor doesn't have any authority to act on your behalf until this official process takes place. Once the court appoints the executor, he or she takes an oath within 20 days under Texas law. Then, the court provides paperwork called "letters testamentary" outlining the executor's authority, which can be used when alerting others to the estate process. 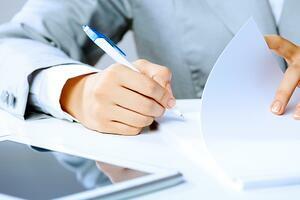 The executor's first official duty is to then notify all creditors of his or her appointment. The executor has 30 days to publish a notice (usually in a local newspaper) of the appointment, and 60 days to notify secured creditors such as mortgage holders by certified letter. Creditors are allowed to assert their claims to the estate up until the estate is finally closed. An executor will usually set up a bank account during this process to deposit incoming paychecks and to pay ongoing bills such as mortgage payments and utilities. The executor of a Texas will then becomes responsible for gathering and managing the deceased's property while the estate is in probate. This can even include maintaining real estate until it is sold or distributed to heirs under the terms of the will. The executor is tasked with identifying all of the assets in the estate and establishing values for them. This can involve hiring an accountant, an appraiser or other professionals as part of the process. The executor has three months to file a detailed inventory of the deceased's financial accounts, personal property, real estate and other assets with the probate court. An executor may be called on to represent the estate in court. The executor then pays outstanding bills or taxes on the estate. An executor has the authority to sell some assets, as appropriate, from the estate in order to cover these outstanding debts. Once the creditors and outstanding taxes have been paid, the executor of a Texas will can then distribute the remaining assets to the heirs or beneficiaries listed in the deceased's will. If any property remains after debts are settled and distribution to beneficiaries has been completed, the executor is tasked with disposing of or selling the property. Finally, the executor files a notice of closure with the probate court, once all of the above duties have been completed.